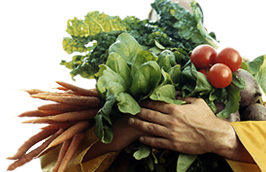 Green Organic® offers a complete line of premium frozen vegetables. We hand harvest our Broccoli, Cauliflower, Mixed Vegetables, Green Beans, Edamame, Onion, Peppers, Asparagus, Sweet Corn, Peas, Mushrooms, Strawberries, Spinach , 50/50 Peas & Carrot , Diced Butternut Squash when they are at their peak, to perfectly preserve their flavor, crispness and nutritional excellence. Green Organic® vegetables are available at Loblaws, Real Canadian Superstore, Walmart Supercenter, Fortinos, Dominion, Freshco, IGA, Metro, Zehr's, Longos, Your Independent Grocer, Provigo, Thrifty Foods, Whole Foods Market, The Big Carrot, Organic Garage, Ambrosia, and Noah's.